Hey everyone ! I hope you are having a fantastic week. 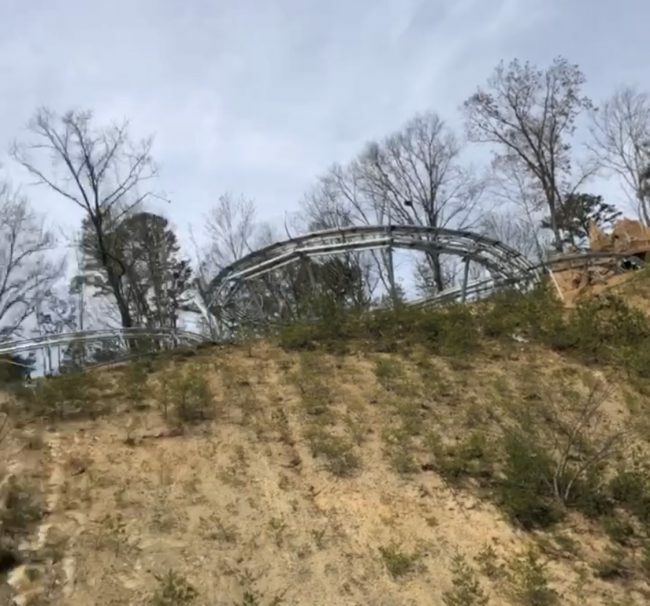 We recently visited our newest mountain coaster credit; Rocky Top. 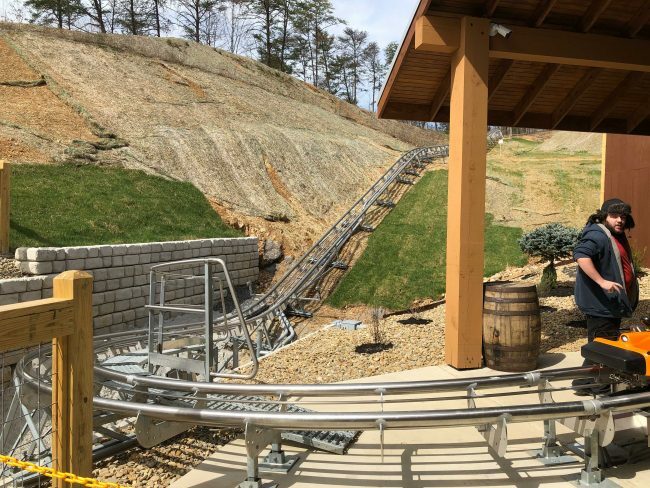 Rocky Top is the newest of the Gatlinburg area mountain coasters, and the longest! 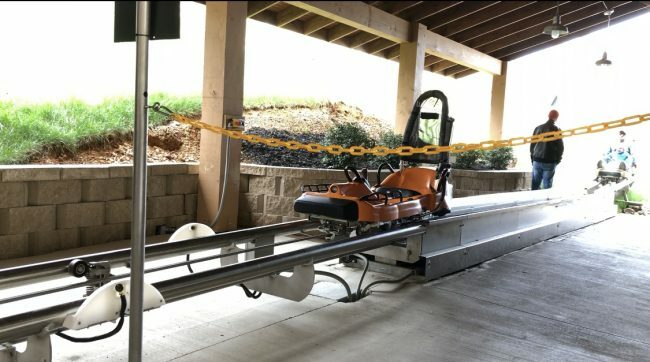 Rocky top gives riders 50% off if they choose to ride again ( With the same day receipt ) if the rider wants to. Night and day are totally different ride experiences. 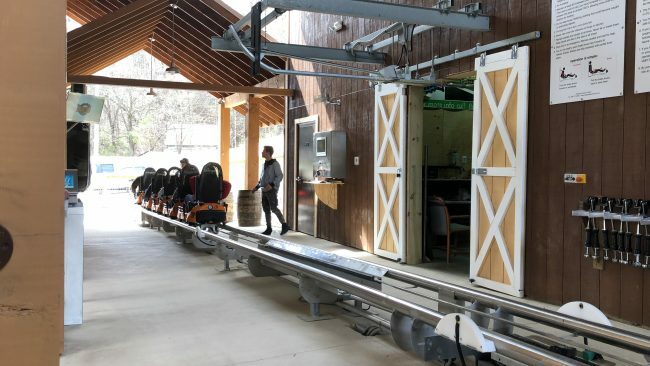 Much like the other mountain coasters; Rocky Top features the standard trains, tracks, and lift/station system , but it has 4 lifts instead of 1 main one. This means 4 full downhill sections, 4 different ride experiences, and a 9 minute total experience. You can see the transfer section and barn doors where ops can add or remove carts depending on the amount of people there. 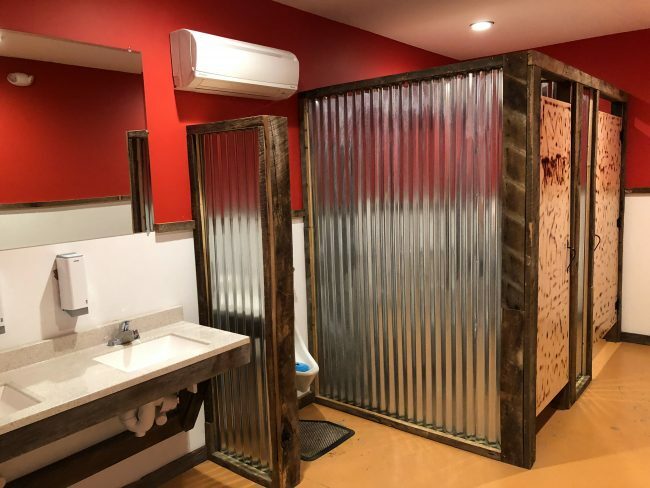 No one was here during our visit so I had to share how awesome even the restrooms are here. Very clean, and very well themed to the outdoors. The whole complex is very well built and is very safe and accommodating for the whole family. The only part of the attraction visible to the public is this final helix section and small man made rock tunnel picture top left. 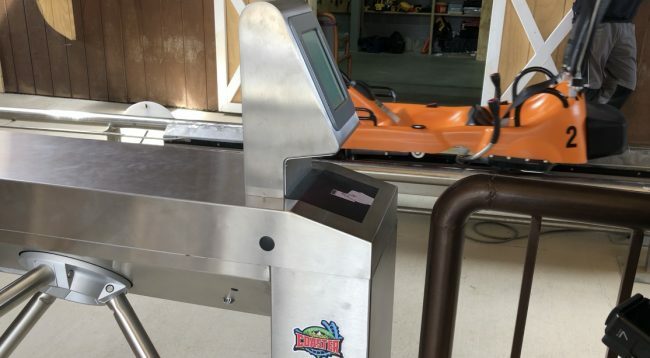 Time to get on the ride, Traditionally there is someone to scan your ticket but here there is no admission operator, you just scan your ticket and board a cart. Remider: Riders get half off rides with valid receipt and ticket on the same day. The rides unloading platform that leads into a gift shop. They have T-shirts, Hoodies, and local arts and crafts on display for riders and visitors to take home with them. Thanks for Reading, be sure to stay tuned for more Theme Park and Attractions News & Info!